Wish you many happy returns of the day @Kaustubh Katdare. Long live you and our beloved CE...I wish both will get great success. Happy Birthday @Kaustubh Katdare  Live long and prosper. @Kaustubh Katdare Very Very Happy Birthday !! Enjoy the most and wish you have a great year ahead. You are the pillar of this company and I thank you for being one of the most amazing guides. Happy birthday @Kaustubh Katdare.  Shine on! Happy bday @Kaustubh Katdare ! Wishing you many wonderful years ahead. I came to know about CE from my friend Debasmita and the next thing that I did is I searched the profile of the CEO of the company. I found a TEDx video and when I saw it I really admired the views of that person. Not only at CE but it is nice to see his guitar covers and also his tweets which have a political satirical tone embeded in it. I really think he has many things to do and he has a lot to achieve in coming years. 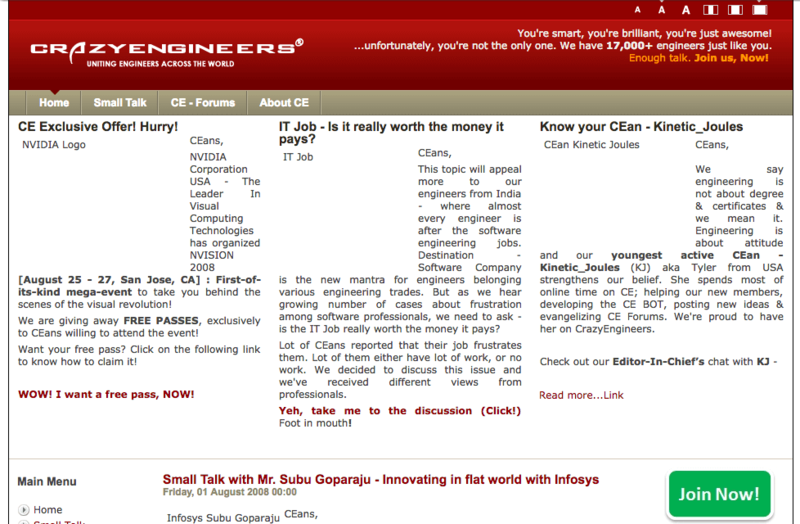 Happy Birthday @Kaustubh Katdare and I wish you succeed in making CE the ultimate heaven for all engineers. Thank you for the wishes, friends! I really appreciate all the good words and thoughts. Frankly speaking; I haven't celebrated birthday in the 'usual' party mode in the last ~4 years. Working my a$$ off so that we all can celebrate everyone's birthday together. Patience will pay off; I am sure. The forum design we had for a long-long time! Things have evolved a LOT; and we we prepare for the 'big' overhaul, we're keeping in mind all the things that you've told us, and we've learned. The actual work on CE 2.0 [or, shall we say 3.0] has began! Expect awesome stuff coming up your way early next year! Thank you for your wishes once again. Happy birthday @Kaustubh Katdare , have a great year ahead. Many happy returns of the day @Kaustubh Katdare. Thanks for this lovely community. May you always be healthy and happy. Belated Happy Birthday to CE and Biggie @Kaustubh Katdare ! I still remember that CE design you shared. 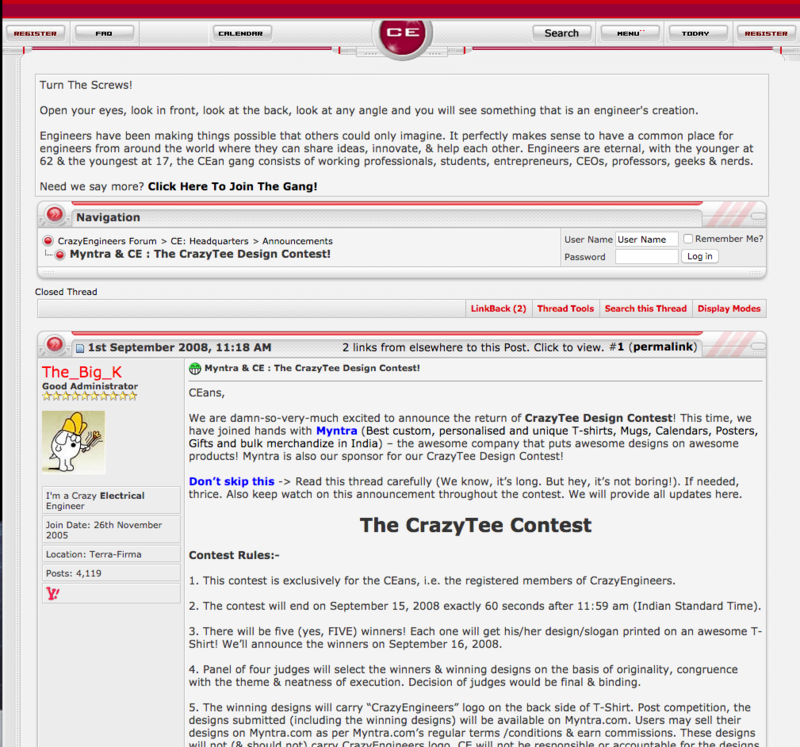 And I remember that contest as well as that was very early days on CE for me and I was one of the winner. Keep doing this great work and have a rocking year ahead.